EFF calls on SA govt to help Zimbabwe - SABC News - Breaking news, special reports, world, business, sport coverage of all South African current events. Africa's news leader. Hundreds of protestors were arrested. The Economic Freedom Fighters (EFF) has called on government to contribute towards the bailout of Zimbabwe to better the country and avoid a flood of Zimbabweans coming into South Africa. 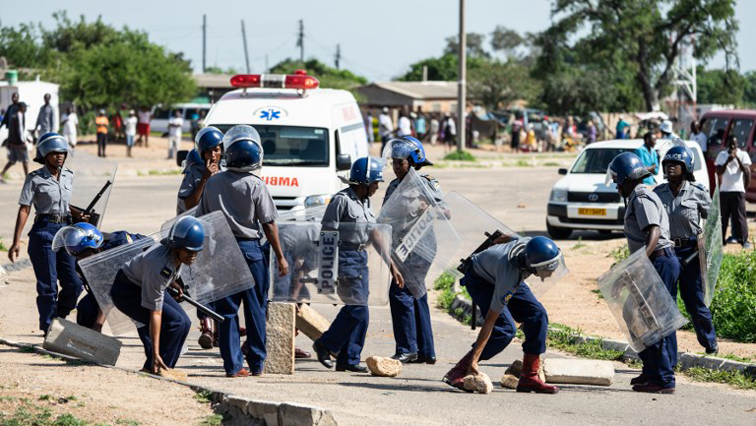 This follows last week’s violent clampdown on Zimbabweans protesting against a massive fuel hike. Hundreds of protestors were arrested. Various reports say 12 people were killed during protests, opposed to the three claimed by police. EFF leader Julius Malema says his call is not to aid the ruling Zanu-PF party but rather the country as a whole. This entry was posted on 23 Jan 2019,02:45PM at 2:45 PM and is filed under Africa, Homepage Latest Stories Slider. You can follow any responses to this entry through the RSS 2.0 feed. Both comments and pings are currently closed.